Filed to: Shazam!Filed to: Shazam! Who doesn’t love a bit of lair shopping? 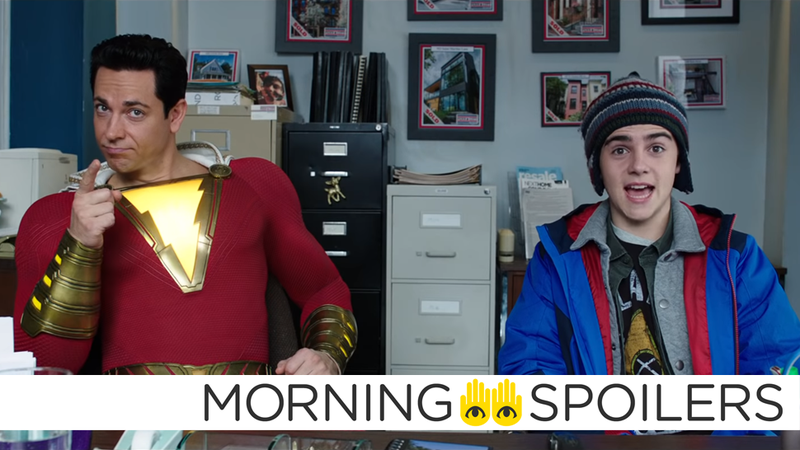 Newly released images of the film’s tie-in Funko Pop figurines (head on over to CBR to see) seem to confirm both Billy’s fellow foster kids Darla and Eugene will also receive superpowers by the end of the film, akin to the origin story Shazam had in DC Comics’ New 52 books. In a recent interview with Collider, director Chad Stahleski revealed Halle Berry trained her character’s attack dogs herself. The puppy in the first movie, was symbolic of his wife and his loss, the dogs in Parabellum are symbolic of someone that Halle has lost. That’s our tie in. Rather than being passive like a puppy, these dogs are a little more active in the storyline. Empire has a new image from Tim Burton’s Dumbo, as the titular elephant takes flight. Go behind-the-scenes with The LEGO Movie voice cast in a new featurette. French entertainment magazine Première (via Watchers on the Wall) alleges that the runtimes for the final season will feature two episodes (the premiere and episode two) that run 60 minutes long, while the remaining four episodes are around 80. Codenamed Shakedown, he possesses the ability to generate vibrations and frequencies at will. Irreverent, bitter and impulsively violent, this ex-Air Force officer killed his superior officer when he was passed over for promotion because of a poor performance review. At Ft. Leavenworth, he signed with Dr. Jace and embraced his role with the ASA, taking pleasure in producing a high body count on his covert missions. Good news! The Magicians has been renewed for a fifth season at Syfy. Production Weekly reports the upcoming Creepshow TV series will adapt Joe R. Lansdale’s short story, “The Companion,” concerning a 13-year old boy named Harold befriending a killer scarecrow. Lorna’s betrayal is revealed (and Blink’s in danger) in the promo for the aptly-titled episode, “calaMity,” airing in two weeks. Spoiler TV has images from episode three, “Snake Pit.” More at the link.